I admire beauty brands who have a strong focus on producing certified organic and eco-friendly products that complement everyday hair, skin and body regimes! I was recently introduced to the brand Villa Lodola who follows this vision on delivering eco-organic hair and body products. Villa Lodola was first established in an official plantation located in the hills of the Upper Tiber Valley in Umbria, Italy. Today I will be reviewing the Oily Scalp Clay Treatment (A$17.95/100ml) and Shampoo (A$17.95/250ml), which aims to control and balance the natural oils across the scalp. Those who develop excessive sebum (natural essential oils which help to moisturise and replenish the scalp) may end up with a dry scalp which leads to dandruff. My scalp is somewhat a little oilier than a normal person would have, which is why I sometimes develop teeny tiny flakes of drandruff near my scalp. I've been treating my hair with both the Oily Scalp Clay Treatment (on a thrice-weekly basis) and Shampoo (daily basis) for the last fortnight and the results are thankfully positive! 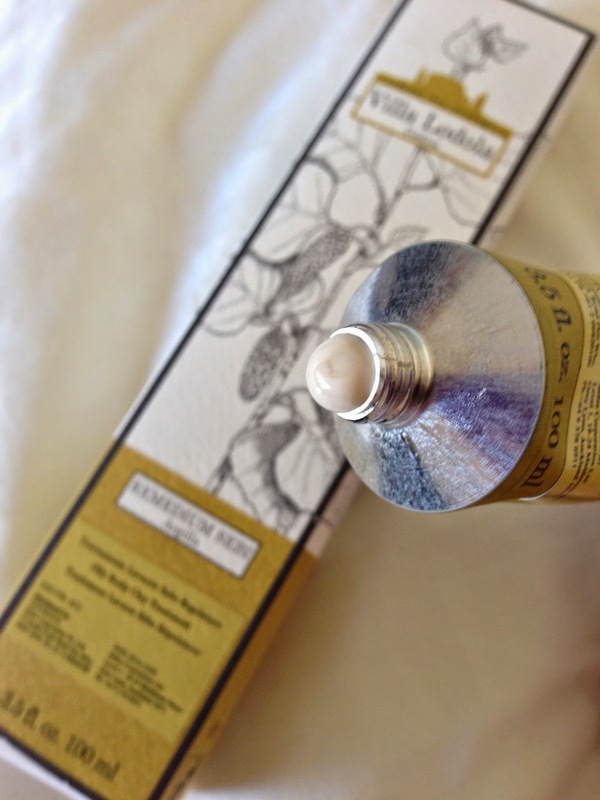 The Villa Lodola Oily Scalp Clay Treatment is a cleansing treatment used to treat excessive sebaceous secretion. This Clay Treatment is to be used like a facial mask to help control the production sebum from the scalp. The Villa Lodola Oily Clay Treatment contains the following active ingredients: White Clay, Organic Willow and Silver Birch extract. The White Clay ingredient is rich in minerals and trace elements (e.g. iron, aluminium, potassium, boron and sulphur) which help to absorb excess sebum production, impurities and toxins from the scalp. The Willow and Birch ingredients assist to regulate sebum while provide purifying action on the scalp. To apply the creamy Oily Scalp Clay Treatment, apply a small dollop to dry hair along the front, side and back hairline. Then, gently work the product through along and over the scalp by racking it in with the fingertips. Once the scalp is completely covered in the Oily Scalp Clay Treatment, leave in place to around 5 minutes, then gradually add water and massage the product onto the scalp until the product lathers up regular shampoo. Wash and rinse the hair and continue washing the hair with shampoo. The scent of this Oily Scalp Clay Treatment is subtle yet quite indulgent as the aroma of the botanical florals and plants just makes me feel soothed and relaxed. The method of application was quite easy to accomplish as the formula wasn't too runny nor thick, so it was super easy to work through the product to envelop my scalp. Unlike a facial mask, this Oily Scalp Clay Treatment does not dry while you leave it in for 5 minutes. When rinsing the product from the scalp, it lathers only slightly to thoroughly cleanse the scalp. It does take time for this clay treatment to work, as I only noticed a reduction in dandruff after about 4-5 uses. After rinsing the product from my scalp I then used the Villa Lodola Oily Scalp Shampoo to cleanse my locks. The Villa Lodola Oily Scalp Shampoo helped to further cleanse my oily scalp and hair without causing any irritation or drying of the scalp. The core active ingredients include Organic Willow and Birch extracts which assist the regulation of sebum production from the scalp. The scent of this shampoo is very subtle and pleasant, so it doesn't leave a lingering scent after washing my hair. I've been using a generous dollop of shampoo which slowly lathers up in between my long and thick hair. Beneath the cap of the screw top bottle reveals a plastic material which helps to control the flow of product. This helps to avoid dispensing excessive product. Although my scalp felt refreshed and well cleansed, my long locks did feel rather dry and lacked moisture, so for me, it was necessary to use conditioner to nourish and hydrate my hair. Despite this, both my scalp and hair did feel fresh and clean after using the clay treatment, shampoo and my usual conditioner. The Villa Lodola Oily Scalp Clay Treatment and Shampoo worked together to help gradually control excessive sebum production from scalp, however, I would recommend using conditioner to finish cleansing and nourishing the hair. Results were not immediate, however, after continual use, my scalp did appear to produce less and less dandruff over time. If you love hair products that are organic certified and eco-friendly, then I would definitely recommend the Villa Lodola range! The Villa Lodola Hair Treatment range is available at Priceline stores nation-wide. Do you use eco-friendly hair care treatment products? 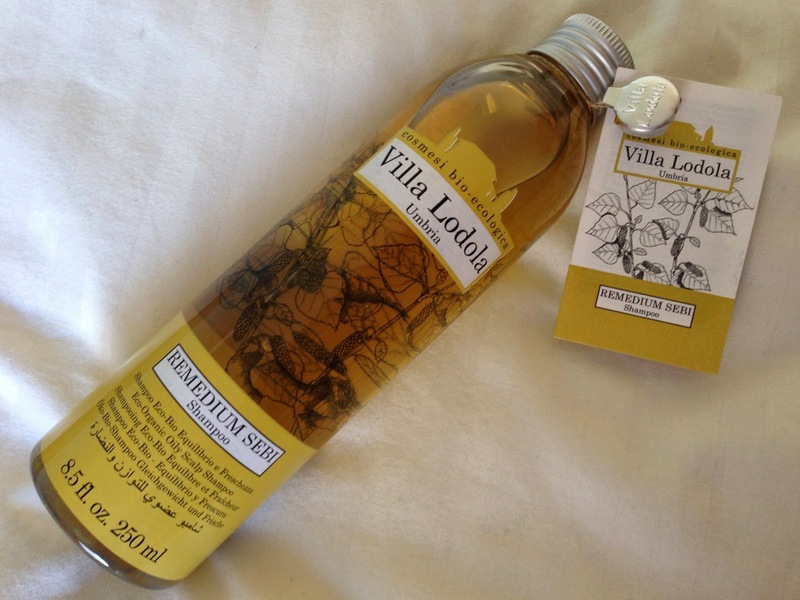 What do you think of Villa Lodola's hair treatment range? Products were provided for consideration only. This review is 100% based on my own thoughts and opinions. I am not affiliated with Villa Lodola and did not receive remuneration to post this product review.